Anyone pulled and cleaned their EGR and EGR Cooler? I cleaned the throttle body and EGR pipe on the CT which has 70K miles. The pipe was surprising dirty and crusted. Since I had already disassembled the pipe, this made me think that the EGR and cooler should be cleaned. Has anyone done this on the CT? I'm assuming it is exactly the same as the Prius. I watched the Nutz about Bolts video to get some instructions. I started to disengage the plastic vent sub-assembly in front of the windshield. But then looks like have to pull the whole wiper motor and assembly as well as the metal sub-assembly. All this to get access to that one hard to reach bolt on the bottom of the EGR. Started to question the effort and trouble. Just started and ran out of time so it sits unfinished for now. Good thing we have a extra car. So I'll try to continue when I get a chance or I might just give up and put everything back together. Last edited by KKM; 02-18-19 at 09:51 PM. What year is yours? I imagine I should do this at some point. It doesn't look too hard. Can you post pics of your pipe? Did you use a wire brush and drill or just soak it ? Yeah and everything identical to 3rd gen prius except possibly details about the wiper/cowl etc but i'd be willing to guess those details are very similar if not the same. i imagine the wiper motor may even be the same part. those should be easy to remove. Looks easy to do. Will plan later on to do this. The year is 2012 with about 70K miles. Attached are not so great picture but hopefully it will motivate you to get it cleaned. I just finish pulling the EGR/EGR Cooler out and just as I suspected, it was fairly gunked up. The cooler looks like a honey comb inside with narrow passages, doesn't seem to be the best design since enough particulates could clog the holes. I'm thinking if this build up is significant it could be related to the cold soak manifold issues? It seems like this should be on the regular maintenance interval schedule from what I'm seeing. It took about 3 cans of throttle body cleaner to see the solvent run clear, even then, there were still some small particulates flowing out. It took a lot of time to do but satisfying knowing that it should be good for about 40k before I consider doing it again. All is the same as 3rd Gen Prius -- it's not a hard service ... just time consuming. This is a service that all will require. Initially -- the soot coats the cooler rendering it less effective and allowing hotter exhaust gasses to flow to the intake. Eventually, with increased buildup the EGR valve can fail. Soot will also travel into the plastic intake - fouling the small passageways that direct the recirculated gasses into the cylinders. This can cause misfire situations as the passageway will not coat evenly -- the hotter gasses will cause higher oil usage. This is what the above TSB is referencing. We have had the coolers completely clog on high mile engines. The big danger is when the cooler is compromised and the hotter gases overheat the head .. the engines have a high head gasket failure rate. Our first Prius being 2011 this was not a widely known problem (the heat buildup) ... we really did not get a full understanding until the first two got many miles on them. It's easier to remove the cooler and valve together -- the metal tube to the intake will come off at the same time. 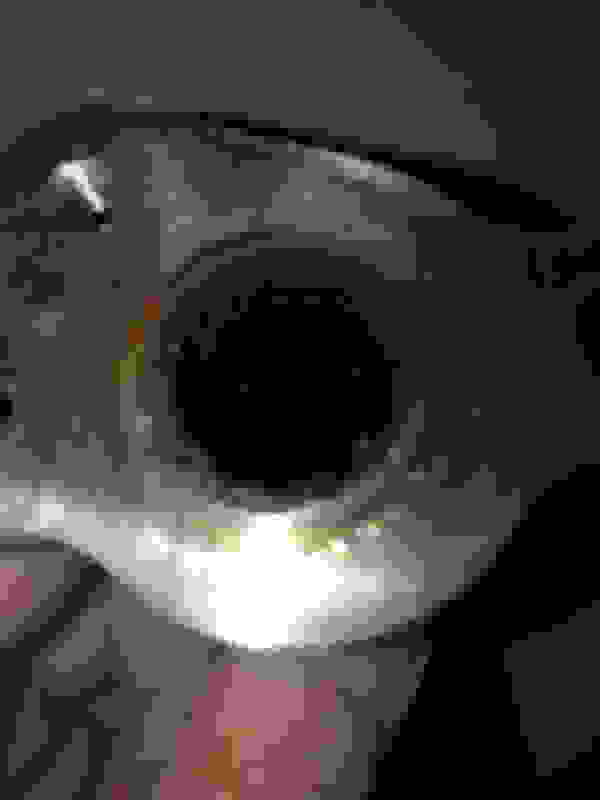 That's the pipe in the picture above. If you see any soot in the pipe -- the intake is going to have to come off and be cleaned. We had no luck cleaning the coolers -- ours were so clogged. We bought new coolers and valves -- getting the parts online and paying the 5hrs labor was around $1100.00. I'm sure if you get to them early cleaning is possible ... it's really important that the cooler be fully clean and not damaged. With the labor needed -- we could not risk cleaning and have to redo. 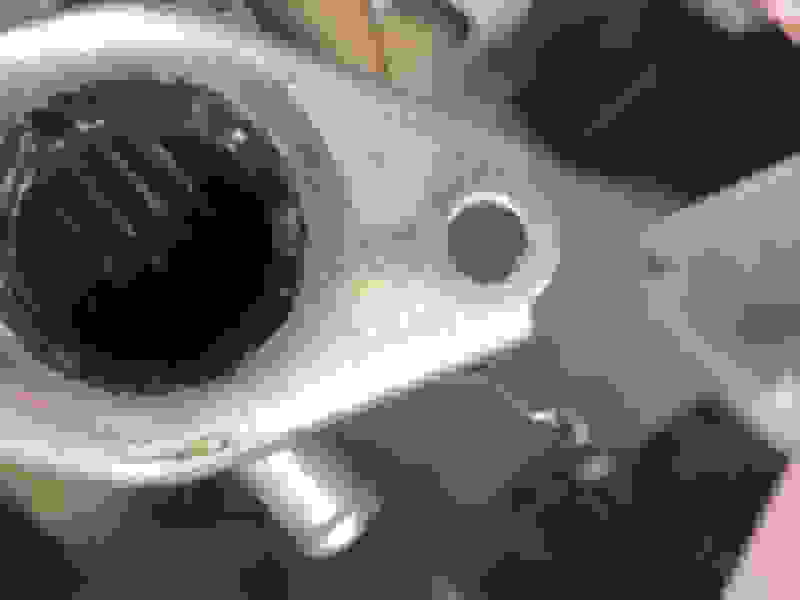 Get new OE gaskets for the intake and cooler/valve assembly. Toyota also updated the spark plugs on the Prius (hotter) -- get new OE plugs. Also, with the intake off the PVC is a 5 second job -- got one. We now understand that when our Prius started to use oil it was a cooler problem .... the use dropped as the cooler clogged and less gas flowed. Throughout the time we would get intermittent misfire codes -- that went away. Anyway -- when the system was replaced and all was clean .. the engines stopped using excessive amounts of oil .... no more misfire codes. Last edited by yeldogt; 02-25-19 at 05:57 AM. yeldogt, would it be possible for someone to delete the egr altogether? and/or, find a way to have that egr dump to atmosphere? Cargerfan: Both of our 2011's passed inspection until the CEL came on for the valve. With the cooler being clogged -- the system was obviously not doing what it was intended. So -- how is the O2 system checking or regulating the N in the exhaust? Maybe the design assumes if the valve is working the system is doing what designed ... in that case as long as the valve is attached to the harness? See I did post on your other thread .... 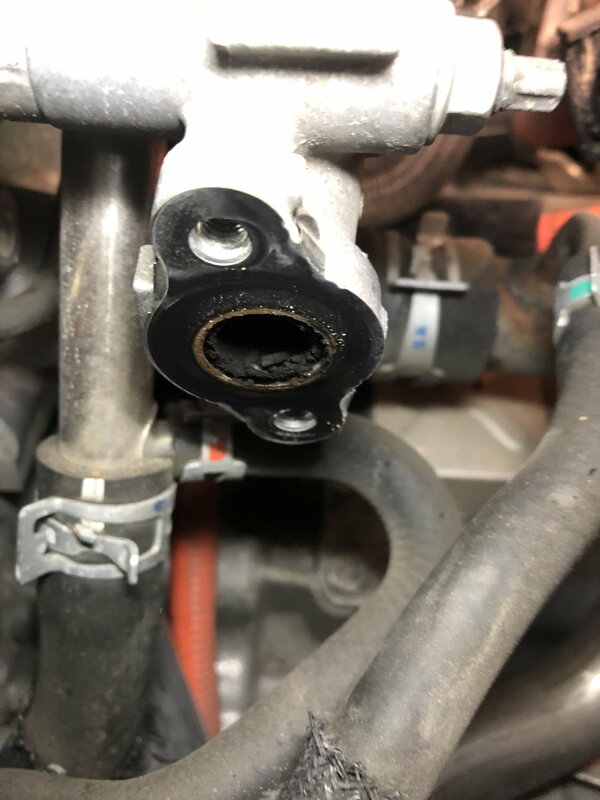 I try and post because the system can cause so many strange running issue that would never be thought of as results of the EGR. The soot causes all manner of problems === most dangerous is the head problem potential. Late to the party here, but thought I would make myself another statistic for the clogged EGR system. Unfortunately I was a victim of head gasket failure (2012 at 203k miles) due to this system. 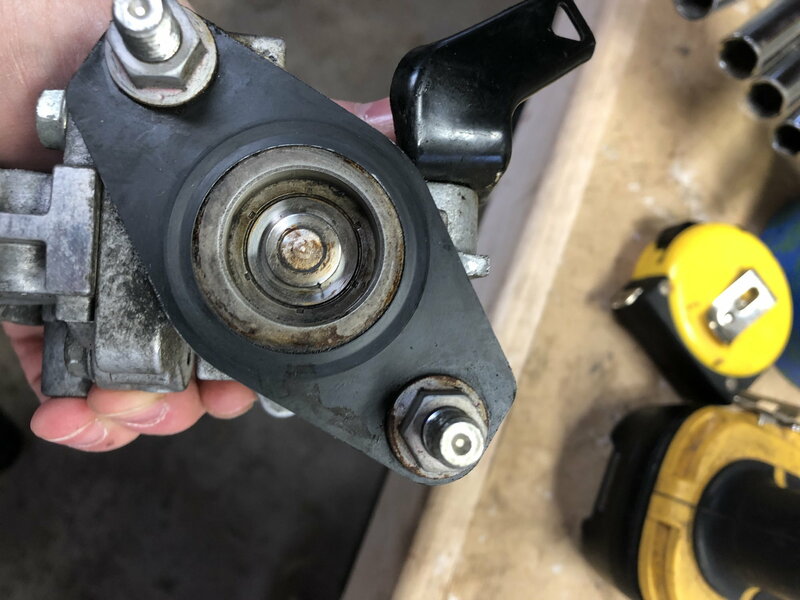 Not knowing I should keep an eye out for this issue and started reading AFTER we replaced the engine, i am going to be checking/cleaning the EGR system in the fall each year. 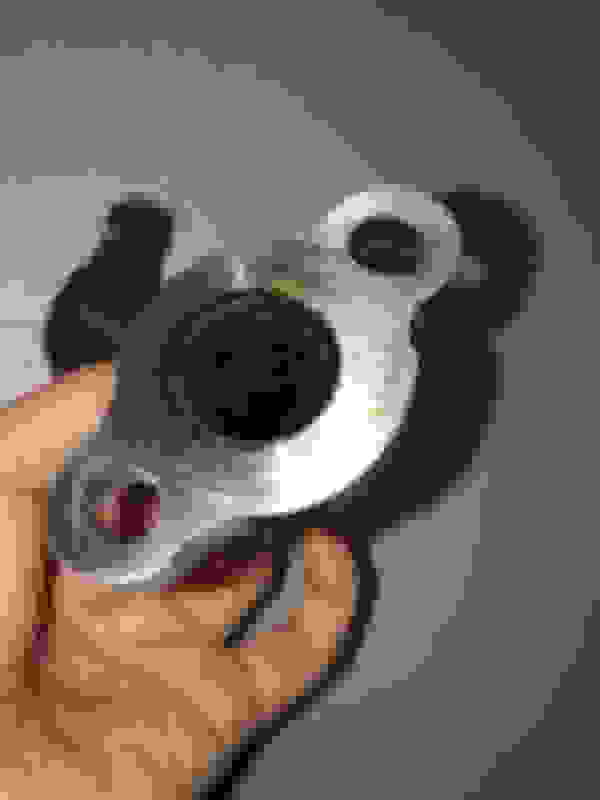 Over on the priuschat forums (which this topic has been discussed ad nauseam) it is highly recommended to install and Oil Catch Can. Once our "warranty" on the engine replacement is up, the OCC will be installed. Sounds like a bad engine design and the OCC helps keep the system cleaner. I'm disappointed with the dealers though, our dealer was "Surpised" this even happened to our engine. "These engines have a great track record". Apparently the internet begs to differ. 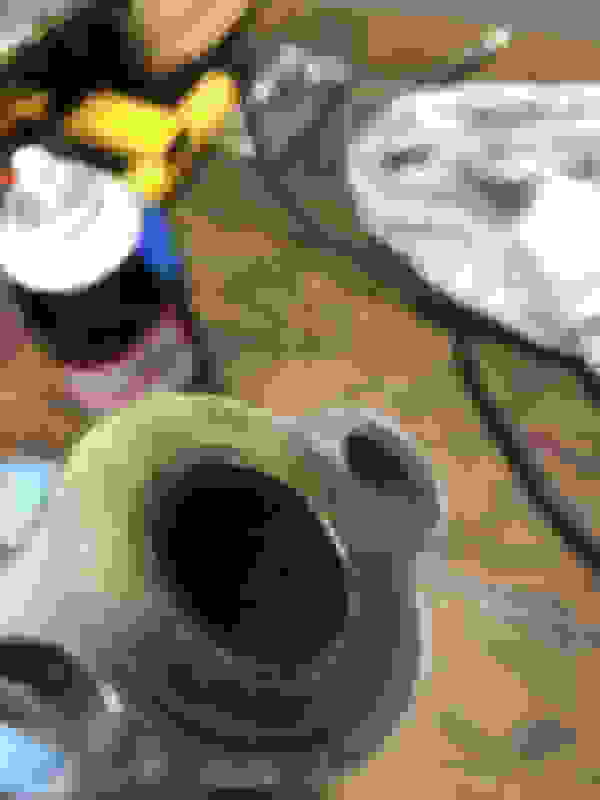 (pictures: egr to intake tube, EGR valve output side, EGR Intake side, EGR intake cleaned, EGR Cooler.) . After seeing the Intake and the cooler being clogged, we definitely had a ticking time bomb for a head gasket failure. Spiral -- how was the engine under warranty? -- or are you taking about the replacement. Did you change engine or just have fixed. The oil catch can will go after the oil that seems to sit in the lower part of the intake -- you can see this oil when you take the intake apart. It's not going to do anything for the EGR system. As far as the head gasket issue -- high miles and head gaskets go together. Since the cars last into 200k and more ...... the possibility of the failure increases because the cars last. I'm not sure what a fully clogged EGR system can do as far as damaging the heads ... since nothing is flowing. We would need a Toyota engineer to tell us what's going on with a new engine. What's the temp of the heads when the system valve is active and and when not ? The EGR lowers 02 in the combustion chamber -- this lower combustion temp may in and of itself reduce the head temp enough ... higher temp when clogged being enough to cause head issues?. I don't know the temp difference. What must occur since the cooler is the first to coat -- the system is sending hotter exhaust gas to the heads during that middle period of miles around 100k ... that must be doing some damage to some engines. There seems to be a higher rate of heads going in this 125k range where one would expect few. I am unfortunately becoming more obsessed with this entire thing and every day reading another thread someone poses a convincing argument that makes me flip on steps for the future. To answer your first question, we had the original engine replaced with a "salvaged" one with 90+k miles on it. Since the dealer did the swap, they gave us a 1 year (no specified mileage) warranty. I was watching a video today making the argument that the OCC is a waste of money, but one point certainly rings pretty loud. These are highly researched/designed/manufactured engines and each component should work as intended. If the engine has an EGR system in place, then it should be utilizing it. With a blockage i had (which seems to be the worst I've seen on all the threads), our CT might as well have not even had it installed (sarcastically speaking of course). I have spoken with a mechanic friend and we seem to concur with the idea that without the EGR, the block and heads will get hotter causing slightly more expansion, and the continuous expansion/contraction with use most likely wore down the gasket (we'll see once i get the head off). So, in theory, if the EGR stays clean, the friction on the gasket should be reduced. Now, will the OCC reduce the rate of EGR clog is the ultimate question. 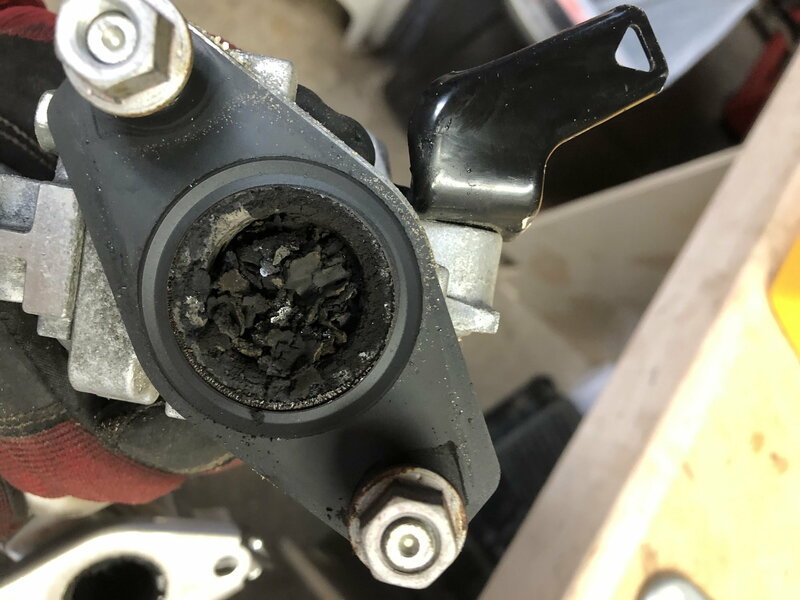 It does stand to reason, though, that if less oil particulates enter the combustion chamber, then less oil can be pushed into the exhaust system and back into the EGR. I posed the question over on priuschat since I can't seem to find any long term users of the OCC saying one way or another, but haven't seen a response other than the throttle body and intake have remained clean. Who knows, maybe keeping the system unclogged and the oil out of the intake won't do anything to prolong our "new" engine...but I am certainly not going to take the chance of having another $$$$$ engine repair bill for a $100 part and a few hours of my time 2x a year. all toyota had to do was put the 2.5 in this car..problem solved. I had the intake manifold replaced and the EGR valve cleaned. The cooler was too much and so we left that alone to replace when it needs to be. 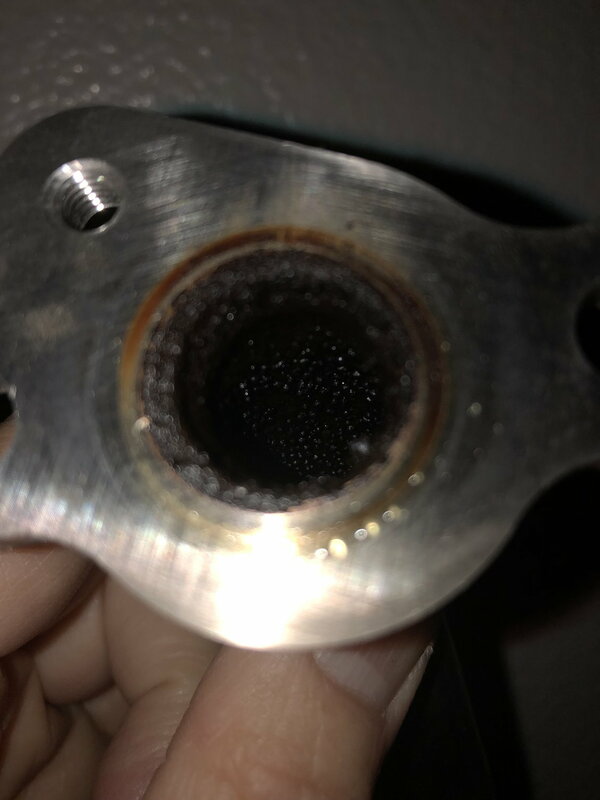 I included pictures of each intake port showing the small hole where the exhaust comes in from the EGR system and how gunked up they were, causing the low speed rattling issue many people experience, and the misfire/improper fuel mixture codes (P0304 and P219A in my case). FYI -- There is a service action for the intake manifold. There has been an updated intake to take care of the strange start roughness in the engine. One of our CT's is at the dealer now 42k -- I gave the a copy of the Toyota service action. They just called to inform they are ordering the updated intake -- will be doing it tomorrow. I also wanted to make sure it had the latest software for the hybrid system -- it did not - so they updated that. I asked that they check the tube and evaluate the amount of soot when they take the intake out. Remember -- the Toyota dealers see many of these cars every day ... Lexus not so much. well, over the weekend, we had ONE instance of a rough start. My wife didn't notice it, but maybe because she really hasn't been driving it and tuned for it. It happened pretty quick and hasn't happened since. And this is on our "new" engine. The dealer wants to do an oil change at 2k miles (which will come up by Wednesday) and the oil is already down 3/4 of a quart. I'm not sure what I should do/say when the oil change is done. What will the "warranty" cover? Should I push for them to check all these components and clean/replace them? If so, should I incur that cost or should the warranty cover it? Without the symptom being reproducible, I'm guessing they won't want to do anything about it. But on the other hand, would they rather inspect those things now or possible replace a blown head gasket later?? What is our recourse for it eating oil? Even though its a known problem, i have a feeling it might not be /THEIR/ problem. As much as I want to be proactive about this to keep the car running, we also spent thousands of dollars MORE to have the dealer do this engine swap, with a higher milage motor (what we were offered), to get the warranty and I feel the dealer should be the ones being proactive since this is a known issue. Oil level after 1.2k miles.